These links may help you find useful contacts related to Rotary or to other recreational activities and caravanning, however RFVR cannot vouch for the safety or integrity of these sites. Links from this site to other sites do not constitute any endorsement of those sites by RVFR-Aus or Rotary International. Toilet Map The ULTIMATE planning guide for the long distance traveller - a guide to Australian "Loos"
RVFR-NA Recreational Vehicle Fellowship of Rotarians, N.A. 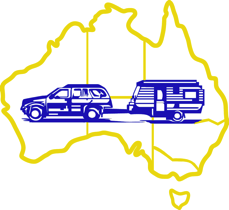 RVFR-New Zealand International Caravanning Fellowship of Rotarian's (NZ) Inc.
eClub NextGen Qld Rotary eClub of NextGen Qld Australia with their "Service Safare" and "Recreational Safare"